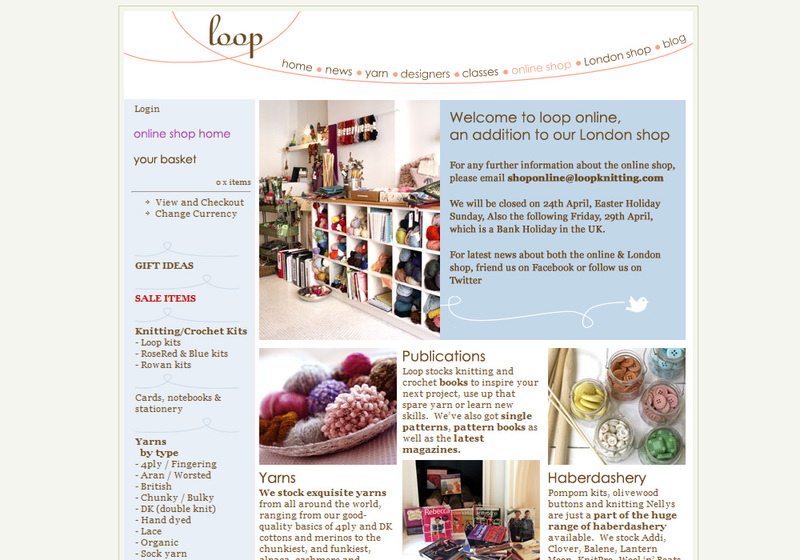 Loop is a friendly Local Yarn Store (LYS) in London with a decidedly upmarket and stylish bent, and designing and building its website fulfilled two passions - both for design and knitting. 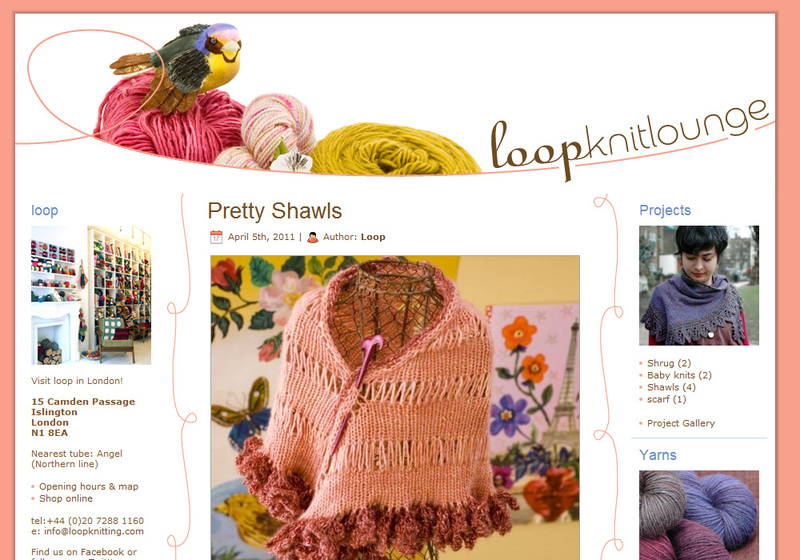 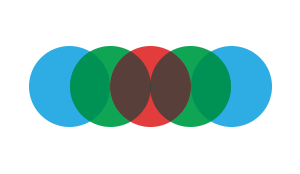 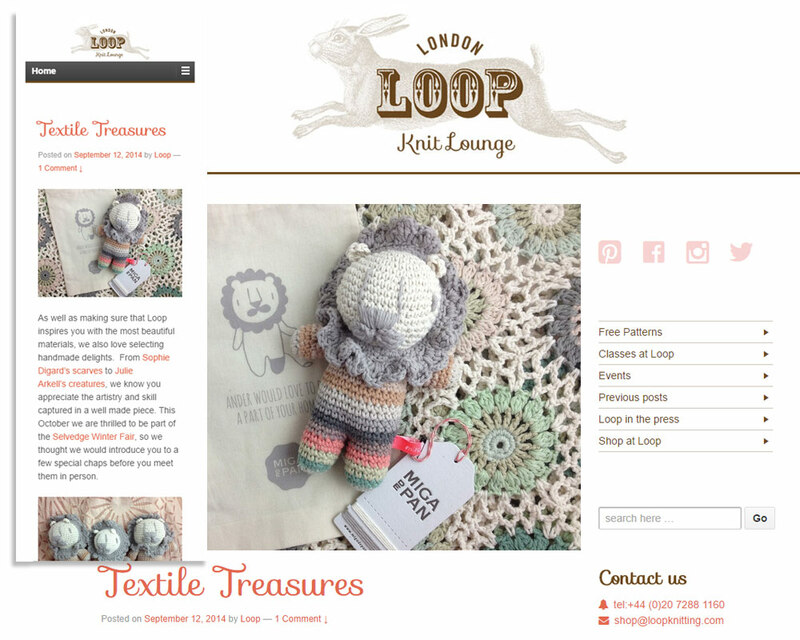 As the business expanded I integrated e-commerce and created custom Wordpress themes for their blog - loopknitlounge - so they could engage with their knitting community online as well as in the shop. 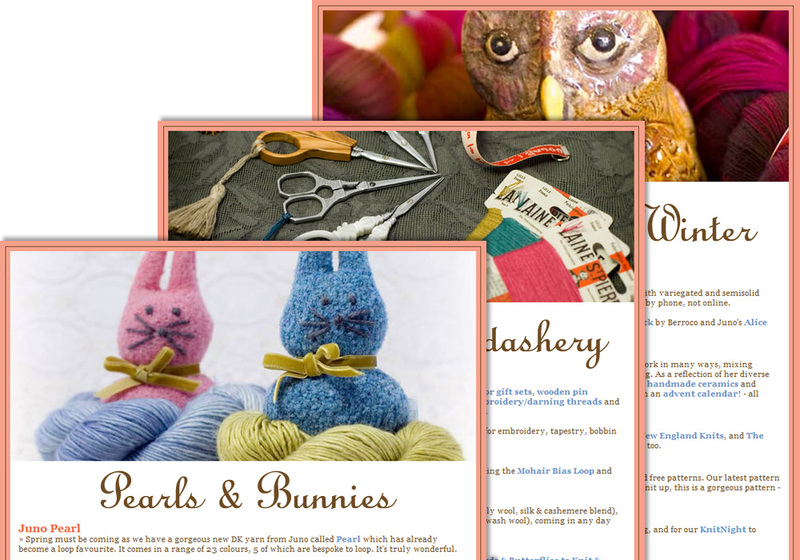 The business doing well means there is more work for me, but also leads to temptation - there is an ever expanding range of fab yarn for me to spend my money on! 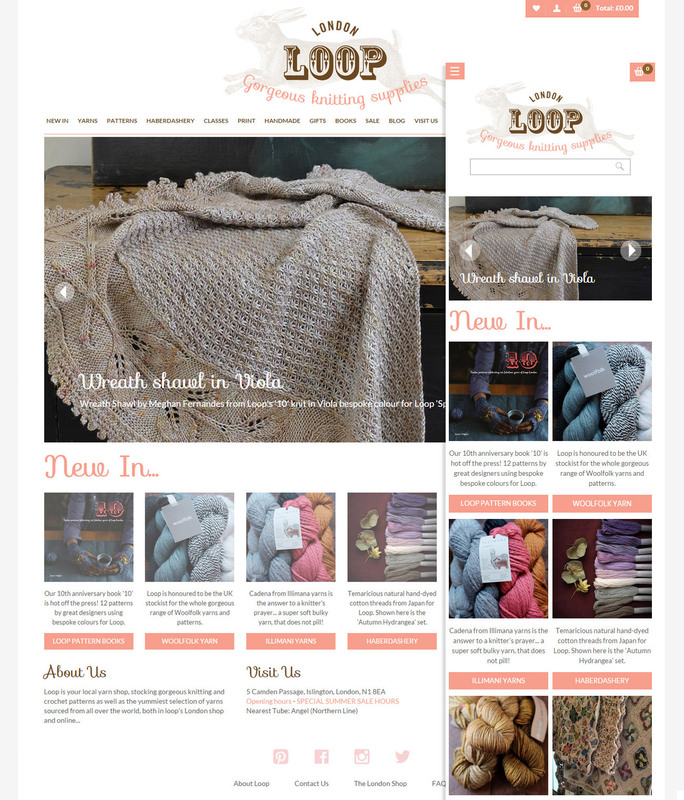 I redesigned the website recently to reflect the new branding, and worked with the e-commerce team to bring it up to date and make it responsive.